Data Collection in the field has never been easier, in one easy to use Mobile Form App. How do I get started with my mobile form app? First, you can signup for your free trial and test out all our cool features available to you. Once logged in to Nest Forms, you can start to create your own mobile survey form. You can then download the mobile form app, and login with your details. You will immediately see your new form and you can start entering data straight away! Responses will instantly appear within your web account, where you can review them, create exports of your reports and much more. Can my friends collect data as well? When you are happy with our app, you can easily add your friends and colleagues and share the form with them also. They will then be able to collect data along with you. All the collected data for the form that you have created will always be within your account and only you will see the Responses. 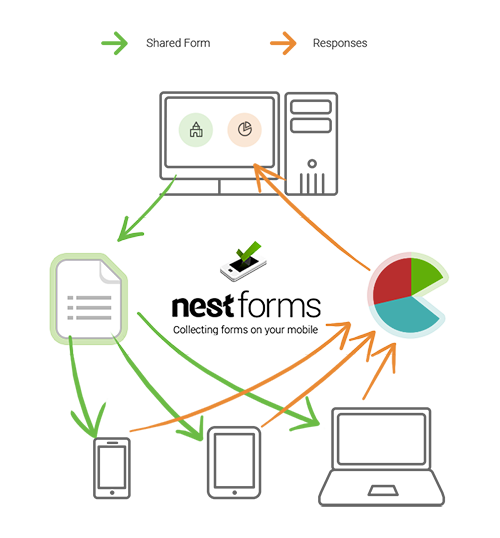 Nest Forms offers more than standard text or numerical data, as your colleagues can also collect audio files, GPS Co-ordinates, photos & signatures and much more . We think our mobile form app is easy to use. 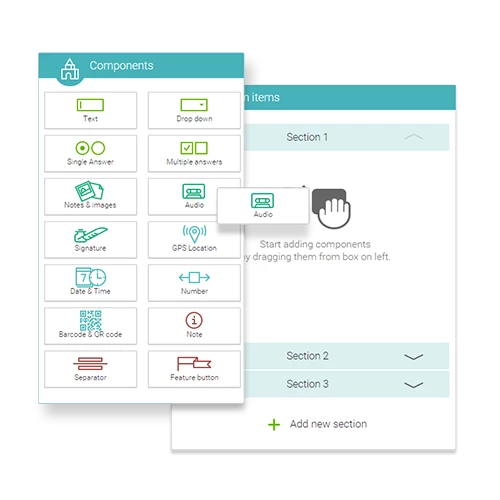 Just remember, you can drag and drop any component you want to add to your form and then just share it with your friends. If you would like to learn more about how Nest Forms works, check out our intro video, and there is also help available. Don’t forget to avail of our free trial!